"Suddenly the Scottish vote isn’t just a possibility. Regardless of who wins in 2014, Scotland’s plebiscite is a stick with which to beat any polity unwilling to allow a democratic settlement to a national question. Mas and others in Spain know this." 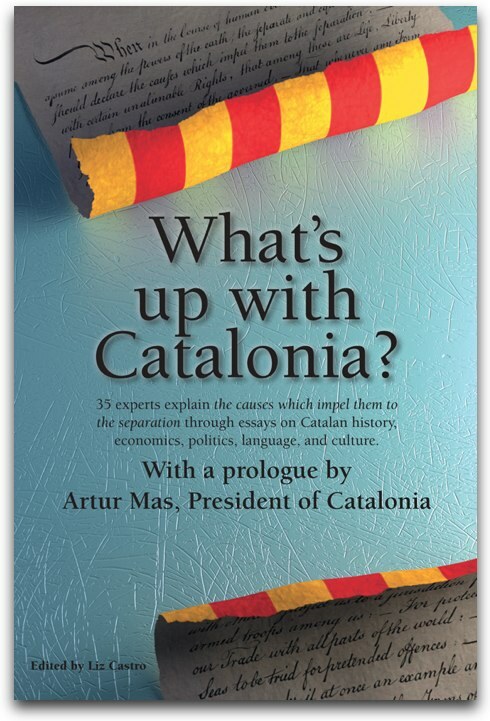 "Mas threatened to "internationalise the conflict" if Rajoy blocked the referendum. "In that case, we will have to go to Brussels to explain that they don't even let us consult with the people," he told the regional public TV channel TV3 on Monday." "On the grounds of justice and prudence, the British government’s approach seems wiser. Cameron, like Spanish Prime Minister Mariano Rajoy, is a conservative and a patriot. Both men would be appalled to preside over the breakup of their nations. But the UK government has recognised that, by winning power in Edinburgh, the Scottish nationalists have earned the democratic right to hold a referendum on their goal of independence. There is no point in trying to find legalistic ways of thwarting them." "The central government should also cede more regional control over infrastructure such as Barcelona’s airport. Above all, Spain should follow the U.K.’s example by granting Catalonians the right to hold a referendum on independence and conduct a legal, orderly secession if they want to. Last week, Spain’s parliament voted against doing so, and it was a mistake." "So, 84% of the people have “little” or “no” confidence in Prime Minister Mariano Rajoy. The fate of Alfredo Perez Rubalcaba, leader of the opposition, is even worse: 90% of all voters distrust him! Those are the two top political figures of the two major political parties, and the utterly frustrated and disillusioned Spaniards are defenestrating them both." "“It might serve as an example and a reference and it might add some impetus to our awareness as we need a date here too for our referendum. The sooner the better,” said one man, in Catalonian." "Speaking on La Sexta television channel, Gallardon said that calling a referendum in Catalonia would be considered an act of disobedience and could be punished with three to 12 months’ disqualification from office and a fine."